Fibromyalgia and Massage: Friends or Foes? Fibromyalgia and Massage: Massage is one of the short-term treatments lasting a few hours to a few days. What are these short-term treatments? Fibromyalgia and massage. Fibromyalgia and massage of the sore muscles increases the local circulation and helps remove the toxins. However the release of the toxins tends to increase their action in terms of pain and other side-effects that we have already talked about. The immediate relief provided is soon lost and the usual rebound will be felt quickly. The more vigorous the massage, the worse the rebound. Light techniques such as Bowen are more beneficial. Acupressure tends to be more painful and is often rejected by fibromyalgia sufferers, unless the acupressure is light or a relaxation technique such as hypnosis is used in combination. Hydrotherapy is also increasing the circulation, being a light massage under water. With heat there is a further increase in the circulation and therefore removal of the toxins. This is why Thalassotherapy, which is hydrotherapy in sea-water, has a better effect than the classical fresh water hydrotherapy. Hot water bottles, laser therapy etc… act by increasing the local temperature and the local circulation. Exercises and fibromyalgia. Exercises increase the circulation and stretch the muscles. Usual exercises are not very well adapted to fibromyalgia unless they are very limited and not tiring. There is absolutely no place here for the usual saying: ”No pain, No gain”. In fact it is exactly the opposite: there must not be any pain! This is why Tai Chi and Yoga are probably the bests as long as they are done in a very soft way (in a relaxing mode). Stretches for fibromyalgia are a bit better as long as they are also very limited. In that aspect, Tai Chi is highly beneficial. Trigger Points Injections.Those injections can be done in the sore muscles or the soft tissues. Every type of injection has been tried: from local anesthetics, steroids or just normal saline. Water injection has been used for the pain it creates: it has no interest at all! Dry needling without injecting anything has also been used with some success. The theory behind it is the creation of a local electrical current (this local electrical current is created in any penetrating injury of the body and is a normal physiological reaction). If many needles are used it's called acupuncture! Acupuncture. It can be done in a "western style" acupuncture by needling the painful points. It can also be done in an “oriental style” acupuncture which uses meridians. Those meridians are typical referred points that correspond to a specific part of the body or a specific symptom. Acupressure is also a localised approach which is done without a needle. TENS or TSE are in the same category of localised treatments as they produce local currents and can give relief. The problem with all these treatments is that they are very local, lack power and involve either sticky pads or hand held equipment difficult to use when the pain is in the back (where the majority of the pain does occur). One comment that I get very often from my fibromyalgia patients is that TENS is irritating. They also tell me that acupuncture makes it worse. Relaxation techniques such as Biofeedback, Yoga, Tai Chi, Reiki, etc.. also provide short-term relief. The advantage of these techniques is that they are non-invasive. Moreover, techniques such as Tai Chi or Yoga can be taught to the patient who can get some support through media display. However, they are short-lived and need to be done in a very reasonable way without any excess otherwise they are counter-productive. Fibromyalgia Hypnosis occupies a special place. The main interest here again is the use of hypnotic relaxation that can be done on anybody (whilst not everyone is suitable for hypnotic therapy). Hypnotic relaxation can also be taught to fibromyalgia patients so they can do it on their own. A good percentage of fibromyalgia patients do succeed at it. Once this technique is taught it can be used often during the day at times of crisis or fibromyalgia flare-ups. 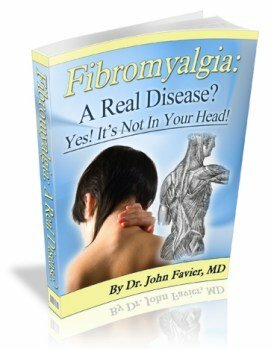 I have also found it to be quite successful in fibromyalgia when it is used in conjunction with other techniques such as acupuncture or pulsed magnetic fields. Short-term treatments are good for breakthrough pain. Once again, they should be applied at “paediatric doses”.